100+ Members. One Coalition. Strengthening the Canadian Response to HIV. AIDS Service Organizations. International Development Organizations. Individuals. Academic and Research Institutions. Unions. Faith-Based Organizations.  ICAD is a coalition of approximately 100 AIDS service organizations (ASOs), non-governmental organizations (NGOs), faith-based organizations, educational institutions, labour unions and individuals. It began in 1989 as a working group of the Canadian Council for International Cooperation (CCIC) bringing together AIDS service organizations and international development organizations to address the HIV/AIDS crisis. ICAD’s members offer a wide-range of experience and expertise in the response to HIV in both Canada and globally. It is in this section that we highlight and share their work with you. ICAD is involved in a diverse range of projects that bridge the local and domestic response to HIV. From the youth internship program, to our work around emerging prevention technologies, ICAD engages with partners to implement programs that reflect its core pillars— public policy, knowledge sharing and capacity building. Find out what events are up and coming by viewing our complete Events Calendar.